PhD , Indian Institute of Technology Madras. Dr. Rajan is currently the Professor and he has a blend of academic, industrial and research expertise. Before joining this institute he was working as Associate Professor in Indian Institute of Technology Guwahati. He also worked in top tier-I investment bank in the world, Goldman Sachs, as a Quant. He held various academic and administrative positions in many organizations. His research focus on Financial Engineering, Mathematical Finance, Statistical and Econometric Modeling, Data Science Research, Machine Learning, Mathematical Biology(Cancer Research), Inverse Problems, Numerical Functional Analysis, Parameter Identification Problems in PDE, Singular Perturbation problems in PDE, Image processing and Tomography. He also offers consultancy work in financial domain/ financial engineering , Data Science Research and Machine Learning and has a startup company, Fedsir Technology (www.fedsir.com). 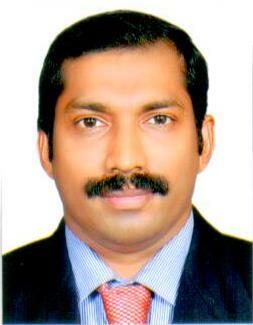 Prospective clients can contact him by email: rajanmp@iisertvm.ac.in . He welcomes any R&D project related to his areas of research interest from funding agencies or prospective clients.